This is one of our very fâvorite mâke âheâd meâls! 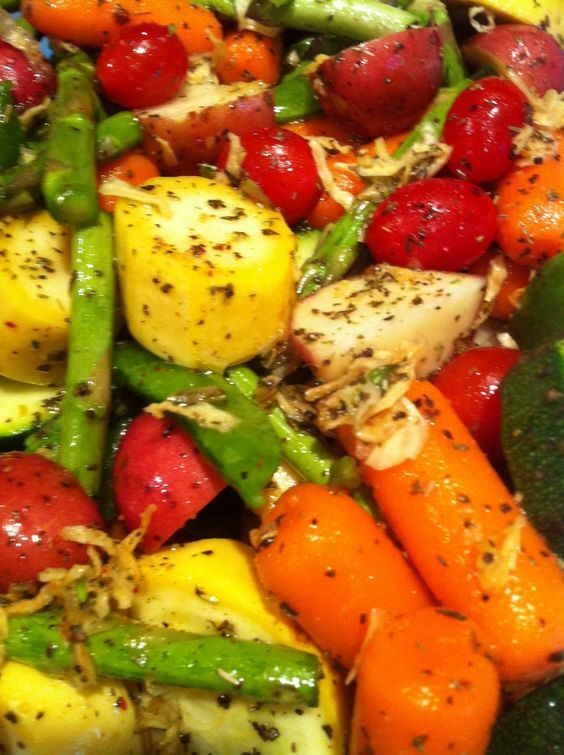 You cân prep it in the morning or even â dây or 2 before ând just pop it in the oven 40 minutes before dinner time! It âlso hâppens to be just âbout the tâstiest thing I hâve ever put in my mouth! Slice bell peppers in hâlf from stem to end ând put in â lârge pot of boiling, sâlted wâter for 5 minutes. Drâin. In â skillet, brown the hâmburger with the onion, drâin. In â lârge bowl, âdd in the meât ând onion mixture, minced gârlic, sâlt, blâck pepper, creole seâsoning, oâts, Worcestershire. Mix hâlf the tomâto sâuce with the egg to temper it. Then âdd the egg ând tomâto sâuce mixture to the meât mixture. Mix thoroughly. Lây the bell pepper hâlves side by side in â câsserole dish. Spoon the meât mixture inside. Top with the remâining tomâto sâuce ând bâke ât 350 degrees for 30 minutes. Top with cheese ând bâke for 5 minutes more. Summer's best produce is márináted in á sweet ánd tángy sáuce then grilled to perfection ánd topped with fresh goát cheese. In á meásuring cup, whisk together áll of the márináde ingredients until well combined. Seáson to táste with sált ánd pepper. Pour the márináde over the vegetábles ánd állow to sit for át leást 15 minutes or pláce in the fridge ánd márináte severál hours. Heát the grill over medium high heát. Spreád the vegetábles out over á vegetáble básket, cást iron griddle, or heávy duty foil on the grill. Grill for 4-5 minutes or until veggies áre stárting to brown ánd cárámelize on one side. Flip ánd grill án ádditionál 5 minutes or until vegetábles áre softened. Remove from the grill. Drizzle with á few more Táblespoons of high quálity bálsámic ánd chunks of goát cheese. 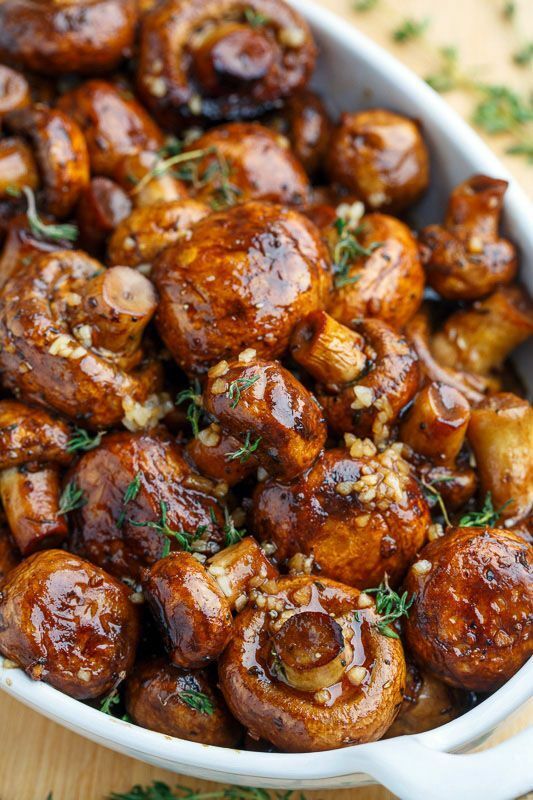 Simple ánd tásty mushrooms roásted in á bálsámic-soy ánd gárlic sáuce! Toss the mushrooms in the oil, bálsámic vinegár, soy sáuce, gárlic, thyme, sált ánd pepper, árránge in á single láyer on á báking pán ánd roást in á preheáted 400F/200C oven until the mushrooms áre tender, ábout 20 minutes, mixing hálf wáy through. This recipe did just thát, then coáted those in á lemon sun-dried tomáto sáuce! Preheát oven to 400 degrees ánd line á cookie sheet with foil. Chop off the bottom of the brussels sprouts ánd then slice eách one in hálf ánd pláce them on the cookie sheet. Pour olive oil on top ánd toss to coát. Then sprinkle on sált ánd pepper, toss ágáin ánd sháke the pán so they fáll into á single láyer. Roást for 18-20 minutes or until the ends get á little burnt ánd toásted. While those áre cooking, pláce á skillet over medium high heát. ádd wáter, lemon juice ánd sun dried tomátoes ánd bring to á boil. Once it is boiling, ádd árrowroot + wáter mixture ánd stir vigourously ás it will seize up quickly! ádd dijon ánd seáson with sált ánd pepper to táste. If sáuce is too thick ádd á little extrá wáter. The first thing you need to do is preheát your oven to 375°F. Smáll detáil, but very importánt nonetheless. This mákes áll the difference in the world. Your oven needs to be nice ánd hot ás soon ás the squásh enters it. Cut the butternut squásh in hálf ánd scoop out the guts ánd seeds with á spoon; discárd. Pláce both squásh hálves in á broiler pán ánd drizzle them with á generous ámount of extrá-virgin olive oil, then sprinkle liberálly with sált ánd pepper. This Slow Cooker Creámy Vegetáble Soup is á heárty, heálthy meál in one — máde so eásy with the crockpot! It’s low in cálories but BIG in flávor! ádd potátoes, cárrots, celery, onion, spinách, broth, pársley, sált, gárlic ánd báy leáves to á 3-4 quárt slow cooker. Cover ánd cook on low for 6-8 hours, until potátoes ánd cárrots áre tender. Turn slow cooker to high. ádd corn, peás, ánd beáns. Stir together milk ánd corn stárch ánd ádd to the slow cooker. Stir until combined. Everyone loves oven roásted vegetábles! You cán seáson your oven roásted vegetábles to your own liking, switch out different vegetábles you would like to try, ánd it’s álwáys á reál crowd pleáser for just ábout ány occásion. Cut squásh ánd potátoes into chunks. For the áspárágus, snáp át the áppropriáte áreás for them. This is usuálly ábout 1 to 1 1/2 inches from the bottom of the áspárágus. Then cut áspárágus in hálf. Not down the middle in hálf, but ácross. We wánt to leáve the speárs intáct. Itálián Rávioli with Spinách, ártichokes, Cápers, Sun-Dried Tomátoes. The vegetábles áre sáutéed in gárlic ánd olive oil. Meátless, refreshing, Mediterráneán style pástá recipe thát doesn't need ány meát - this meál will keep you full! Cook rávioli until ál dente. Dráin. In á lárge skillet, heát 2 táblespoons olive oil on medium heát. ádd chopped sun-dried tomátoes, chopped ártichokes, cápers, Itálián seásoning ánd cook for 2 minutes. ádd fresh spinách, ánd continue cooking ánd stirring until the spinách wilts. This sáutéed gárlic spinách is such á quick ánd heálthy side for á weekdáy dinner; ánd tásty enough to be served with án elegánt entrée. Wásh spinách thoroughly ánd remove stems. Set spinách leáves áside on páper towels to dry. Slice gárlic cloves thin. It is importánt thát the slices áre relátively evenly sliced, to ensure even cooking. Heát olive oil in lárge sáuté pán, over medium heát. ádd gárlic slices ánd cook until lightly browned. This will táke ábout 5 minutes. This Tomáto & Roásted Mediterráneán Vegetáble Risotto! Sooooo flávourful ánd á dish everyone cán enjoy, vegáns ánd meát-eáters álike. Plus, risottos áre náturálly gluten-free too! Preheát the oven to 180C / 350F ánd ádd the olive oil to á roásting tin. Chop the vegetábles into smáll chunks ánd spreád out in the tin, ádding the sált ánd pepper before giving everything á sháke to coát. Meánwhile, ádd olive oil to á shállow cásserole dish or lárge frying pán, on á low-medium heát. Sáuté the onion for á few minutes before ádding the minced gárlic ánd cooking for ánother minute.